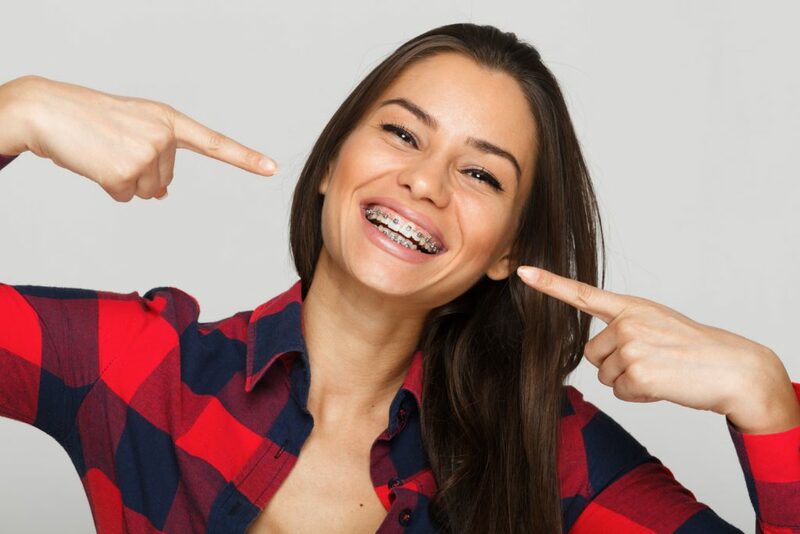 Although life with braces is something you may not be used to, having braces does not have to affect your life in a negative way. While braces may take some time to adjust to, there are things you can do to improve the time you spend with them. One important thing to remember is that you should work with them, not against them. This means being flexible and making the necessary changes instead of trying to avoid altering your lifestyle. Part of this is remembering to smile. Often times, people with braces feel self-conscious about their smile with braces, when they have no reason to be. The majority of the population has had braces at some point in their lifetime and no one passes judgement on those who currently have them. Plus, when you avoid smiling, people will notice and wonder why you refuse to smile. By naturally smiling, you will seem the same person you have always been, even with your braces. Another part of making necessary changes is to eat soft foods when you first get your braces applied or when they get tightened. Again, the key here is to work with your braces, not against them. When your braces cause your mouth to get sore, which they will on occasion, avoid setting yourself up for frustration by eating something difficult to bite or chew. Instead, admit that you need to change your eating habits until your mouth feels better and opt for a softer option. There are plenty of soft foods out there that are not simply yogurt or applesauce. For example pasta, steamed veggies, fish, eggs, and soups are all examples of tasty, soft foods. Another necessary change will need to make is your tooth brushing habits. With braces, you will need to brush more than the recommended two times a day. You will still brush twice a day, yes, but now you will also need to brush after eating. This is because the brackets on your teeth can cause debris to collect and this can cause problems if you do not remove it. To make sure you brush after every meal, you will want to make a travel dental kit to take with you when you are out. This kit should contain a travel toothbrush, toothpaste, dental wax, floss, and lip balm. There are also different options of on-the-go brushing tools that may be occasionally used as well. Everytime you brush, you will want to make sure you are getting all the surfaces of your tooth and the brackets. If your brackets appear dull, then that means that you are not adequately brushing. Rather, they should appear bright and shiny, and your teeth should not have any visible plaque or food build up. You may also need to remember to replace your toothbrush more since brushing brackets will cause it extra wear and tear. In taking the time to make these small changes, you will make your life with braces much easier. Remember, this is a temporary phase of your life and you will be able to return to your normal ways of doing things someday soon. In the meantime, work with your braces, not against them and you will see improvement that will make the process all worth it.